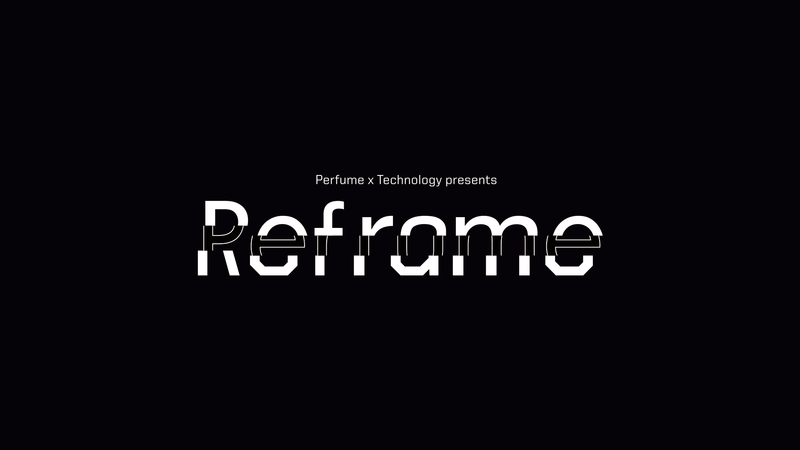 The Reframe project represented the culmination of Perfume’s performances to date, reconstructed through the lens of cutting-edge technology. 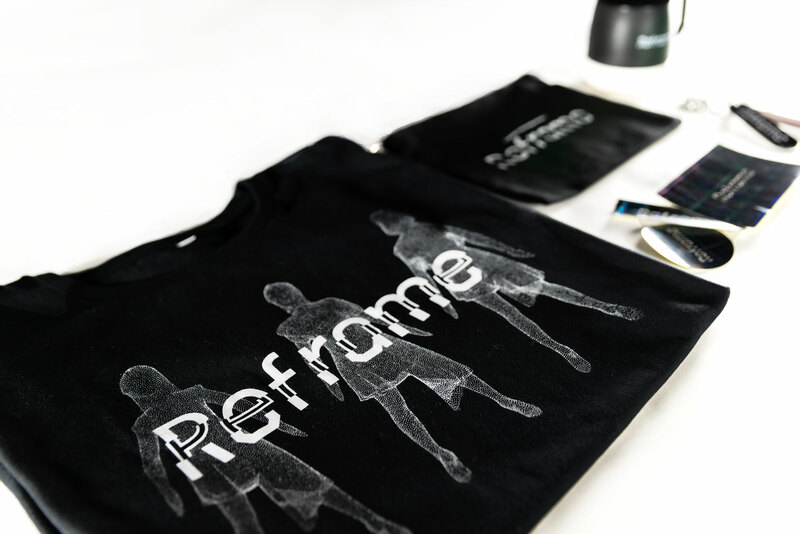 As such, the logo itself was designed to conceptually embody the act of reconstruction. 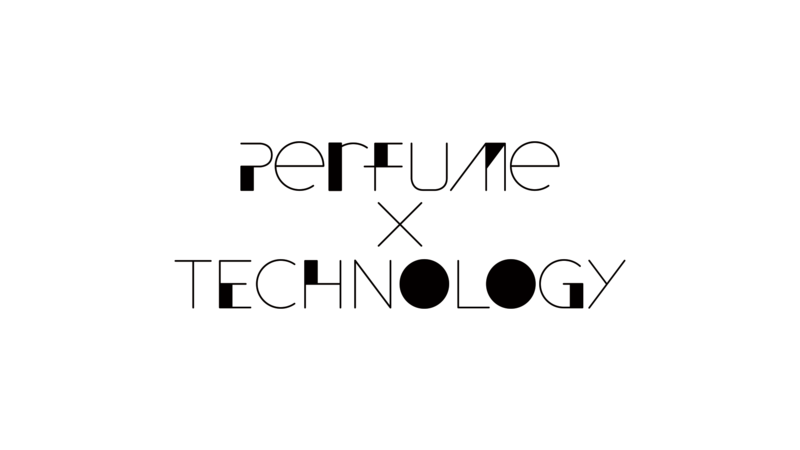 When spliced and rearranged, the name “Perfume” simultaneously spells out “Reframe.” Moreover, three different fonts were used in the logo to reflect the three members in Perfume. 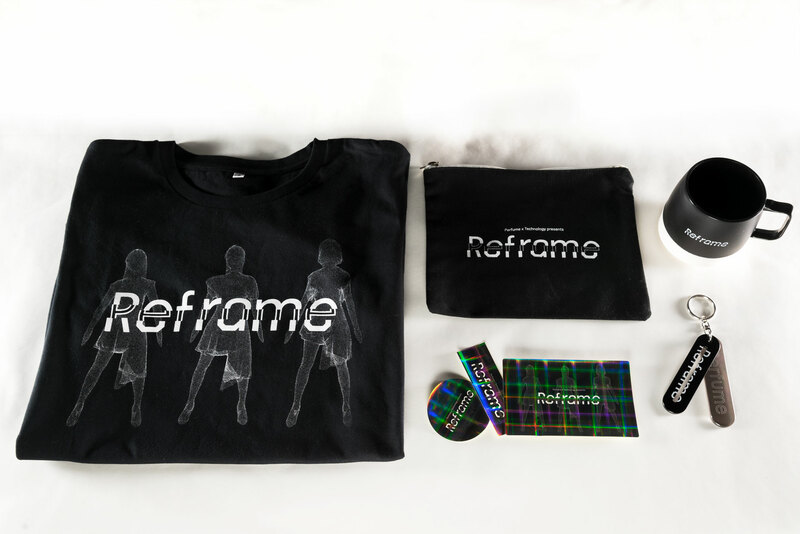 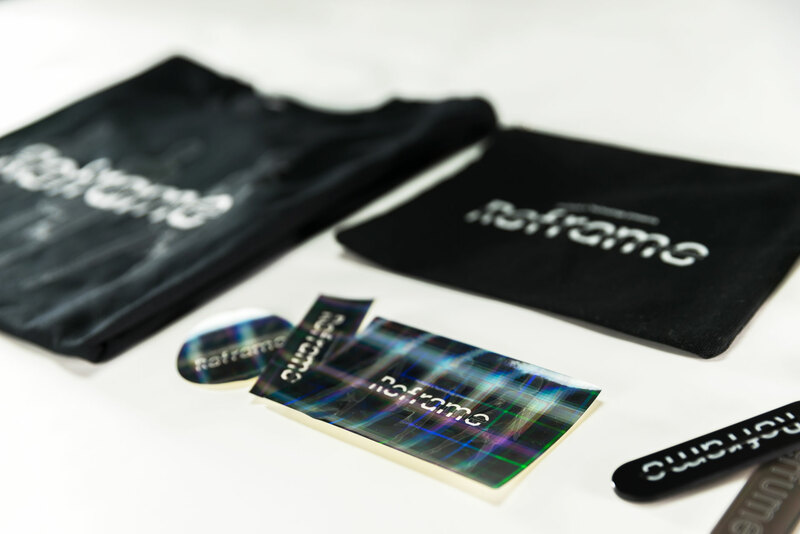 The logo was also featured on a range of limited-edition merchandise such as key holders and t-shirts available only at the venue: when viewed at a certain angle, the names “Reframe” and “Perfume” seemed to interchange.